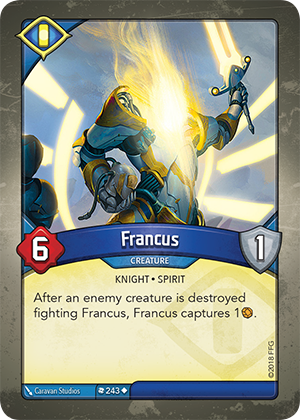 Card Text After an enemy creature is destroyed fighting Francus, Francus captures 1 . Does Francus’ ability work when it is attacked? Does Francus need to survive the fight in order to resolve its ability?